In the healthcare world, a group purchasing organization (GPO) purchases in volume and uses that leverage to help hospitals save through negotiated discounts with suppliers/vendors. Vizient is the largest healthcare performance improvement company in the country, serving more than half of the nation’s hospitals and health systems. 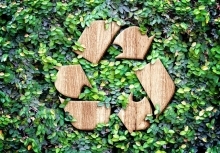 With its GPO services, Vizient utilizes environmentally preferred sourcing (EPS), which reduces the impact of the healthcare industry on the environment. Read HPRC’s latest blog to know more about Vizient and EPS. HPRC is a private technical coalition of industry peers across healthcare, recycling and waste management industries seeking to improve recyclability of plastic products within healthcare. HPRC is made up of brand leading and globally recognized members including Baxter, BD, DuPont, Eastman Chemical Company, Johnson & Johnson, Medtronic, Nelipak Healthcare Packaging, Ravago Recycling Group, and ThermoFisher Scientific. The council convenes biannually at meetings hosted by an HPRC member that regularly include stakeholder engagement events and facility tours to further learning and knowledge sharing opportunities through first-hand demonstration of best practices in sustainable product and packaging design and recycling processes. For more information, visit http://www.hprc.org and follow HPRC on LinkedIn.